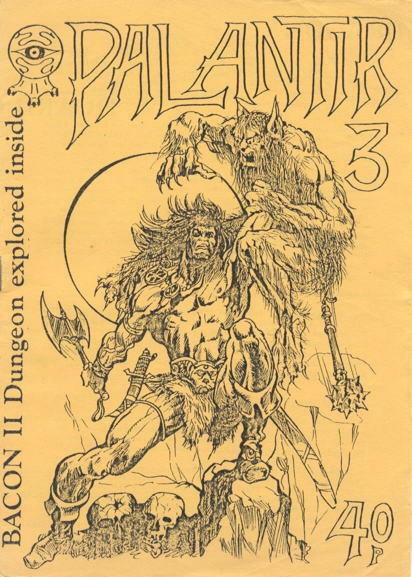 Oh, nothing, just a bunch of 30+ year old role playing fanzines from the U.K. Here are some recently-acquired goodies destined for the eBay that I thought I’d share with you first. 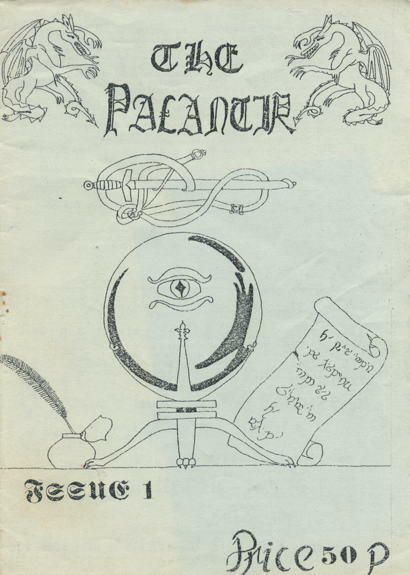 It’s a bunch of digest-sized Dungeons & Dragons ‘zines, all hailing from England and thereabouts, and all featuring monsters, magic items, adventures, and of course, fantastic covers. Maybe one of you folks out there can decipher it. Holy cow, just look at it. The only way this could have been better is if the ‘zine had been called The Gelatinous Cube and had a pic of said cube on the cover. But this cover is admirable in its simplicity. 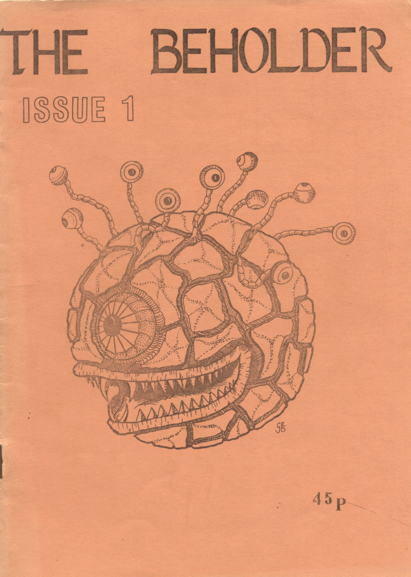 Sadly, it’s not a ‘zine focused solely on the Beholder, with Beholder fan fiction, Beholder-themed interviews (“so what’s your favorite Beholder magical ability, Ms. Susan Anton?”), Beholder fan art, etc. So, you know, that particular niche is still wide open, friends. Susan. Anton. Gooood night everybody! Man! I thought it was Marc Gascoigne! BACON II – the return. That’s a nice looking Beholder, right there. Did you buy these for the shop? Are there people who collect this stuff?? Swamp Thing canceled again! Anyone know? That’s a pretty neat find. 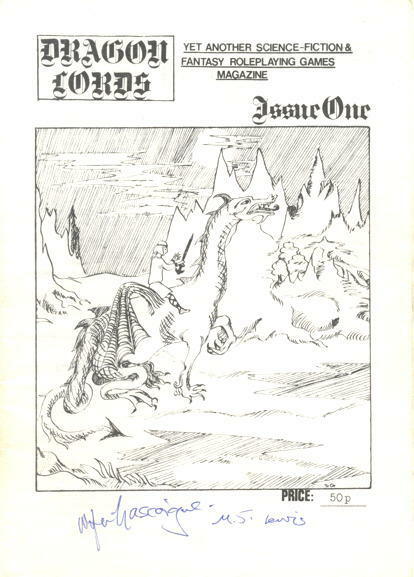 Gascoigne wrote a couple of pretty good Fighting Fantasy gamebooks and edited the FF world book, Titan. Marc Gascoigne is the managing director and publisher at Angry Robot books (http://angryrobotbooks.com/about-us/people/), who publish a lot by genre authors associated with the table-top gaming business. He was co-editor of Dragon Lords back in the day with Ian Marsh & Mike Lewis. I’m beginning to suspect that signature may be Gascoigne’s. These look great! When are you putting them up on Ebay? Or will you entertain offers even before that? Andrew/Brian – They are indeed intended for eBay, and should be up soon. The Beholder SHOULD have his own zine!